Plaintiffs in a multidistrict defective product litigation against Procter & Gamble alleging its Fixodent glue causes neurological damage hit a snag last week when a federal judge in Florida dismissed expert witness testimony that was deemed unreliable. 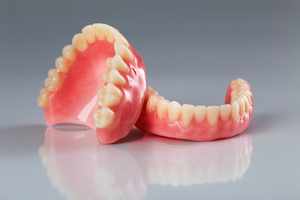 Expert reports in defective product lawsuits must be based on studies with reliable methodology and sound scientific process, and plaintiffs in the Fixodent case failed to provide a professional report that met the standard. Central to the plaintiffs’ claim is evidence that the zinc contained in Fixodent increases the risk of copper deficiency that results in neurological problems. In order to demonstrate the necessary causal link between Fixodent’s zinc content and neurological problems, the plaintiffs called upon several expert witnesses to present a reports detailing the results of empirical studies and clinical trials that provided evidence supporting the plaintiffs’ case. According to the scientific studies submitted by the plaintiffs’ experts, there is a sufficient connection between higher levels of zinc in Fixodent and increased risks of neurological problems for a reasonable jury to infer cause. U.S. District Court Judge Cecilia M. Altonaga was unconvinced by the expert reports supporting the plaintiffs’ case, however, taking specific issue with the analytical gaps in the causation conclusions due to unreliable methodology and hand-picked data that ignored counter-evidence. Issues with expert witness reports in the Fixodent case arose late last year when a separate lawsuit filed by a single plaintiff was dismissed due to failure of experts to demonstrate that zinc in the glue caused neurological problems. Marianne Chapman presented a medical expert witness whose research on the subject was fundamentally flawed and, in an order that was upheld by the Eleventh Circuit Court of Appeals, was dismissed from the trial. In one study performed in India, the plaintiffs’ expert examined the short-term effects of Fixodent on copper absorption in the body. Judge Altonaga found that the study deviated substantially from ethic protocols, and was not sufficiently objective or methodologically sound to be considered respectable science. Another study that argued that zinc, regardless of source, caused copper blockages which lead to neurological defects was similarly dismissed for poor methodology and unsound conclusions. Other expert contributions to the trial followed the same pattern – not objective, not supported by reliable methodology, and unable to provide sound scientific evidence that established the necessary causal link between Fixodent and neurological damage. The standards for admissibility of expert witnesses in defective product cases can be quite onerous. Judges are required by the Federal Rules of Evidence to conduct a thorough review not only of the expert’s qualifications, but of the quality of the scientific research conducted. Compounding the legal standard of review is the high dollar nature of the litigation which attracts experienced legal teams that are able to make strenuous arguments against the admissibility of experts. Considering this intense scrutiny and opposition, parties presenting expert witnesses in high dollar product liability cases need to ensure that the expert opinions are well supported by quality science that provides reliable evidence.